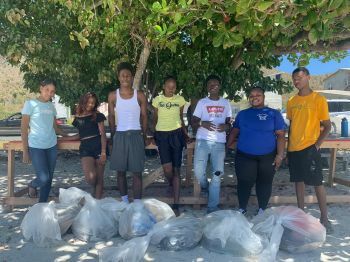 The new ‘SGSS Passion4Earth’ Environmental Club—started just this year—decided to head out to the Brandywine Bay Beach in Tortola, to do some cleanup work, in an effort to not only beautify the territory but help the environment. The students were Hanna Garcia, Nyasha Yadram, J’Moi Victor, Olivia Freeman, Chad Willock, Dakota Christopher and Iain Smith. 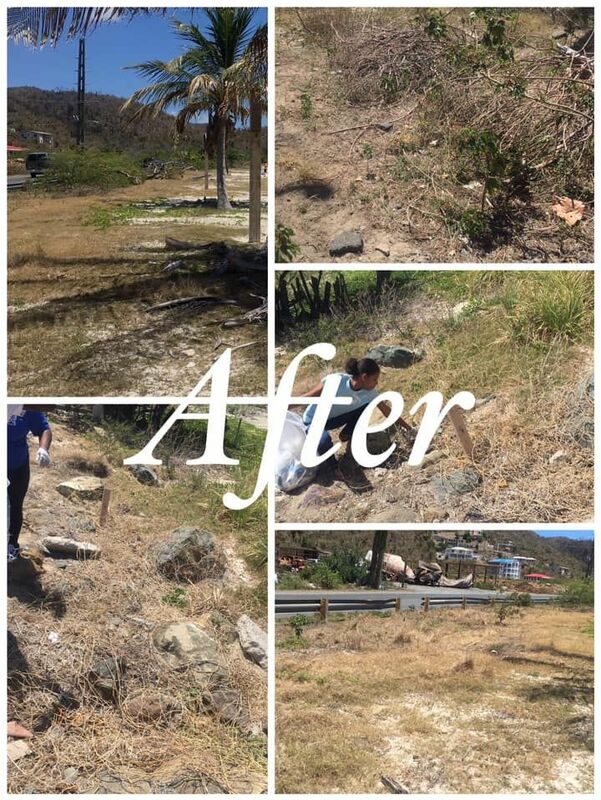 “Upon entering Brandy Wine Bay, Tortola, the amounts of trash collected and thrown into the dumpsters was unbelievable. The trash bags seen in pictures does not amount to the actual numbers of bags of garbage collected today,” the club noted via a post on their Facebook page. 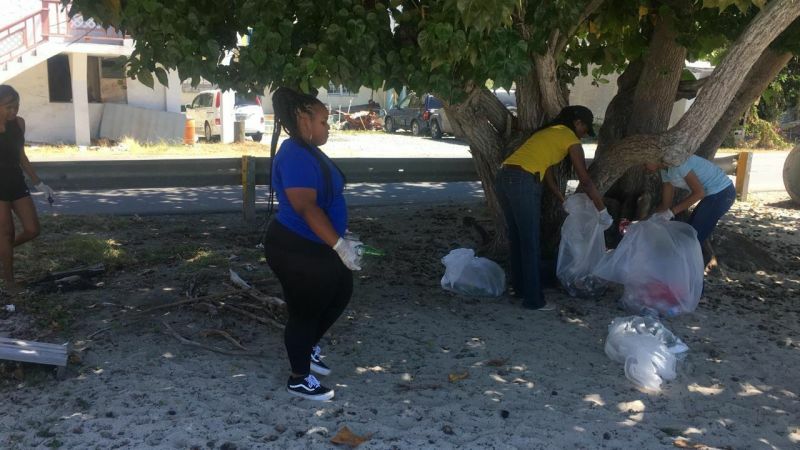 They said that over time, the beaches have become more of a place for trash and not sand while noting that they have only just begun on the journey to making the territory a cleaner, brighter, safer and better place. 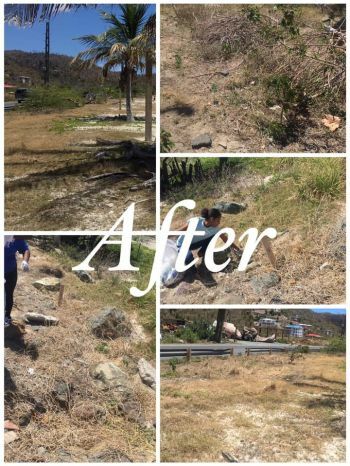 Just recently, the government in a public release indicated that plans are afoot for a comprehensive clean-up campaign of the Virgin Islands (VI) led by Premier and Minister of Finance, Hon Andrew A. Fahie (R1). Great job guys the future is now for you all, go for it! 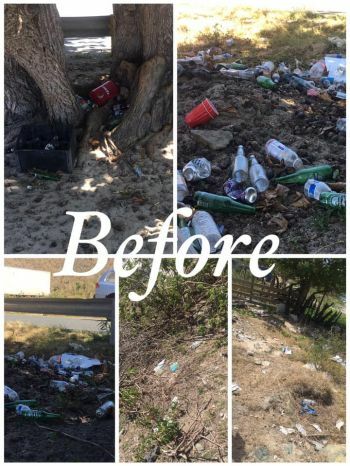 Awesome work, keep it up. Well done. Great job students and Ms Joseph. Keep up the good work in school and our community. We’re so backwards are here - Students In drama stories 50+ comments. Let’s start cheering up our youths as it’s encouraging for them. ppl come here with them nasty ways of just dropping garbage. Thank you for a job well done. Big up to my St. Georges family.